There are a number of reasons someone may need dental implants – from dental decay to sports injury – but no matter what your reasons may be, they will help rebuild your smile and regain your confidence. 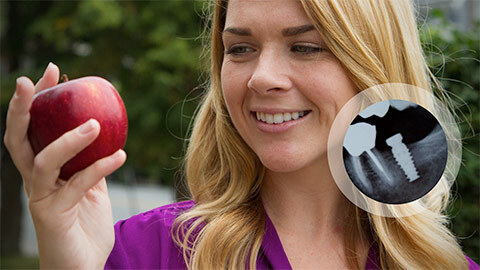 We are proud to offer our patients dental implants because they are a viable option that allows us to replace a missing tooth or teeth while maintaining your smile’s natural look and feel. 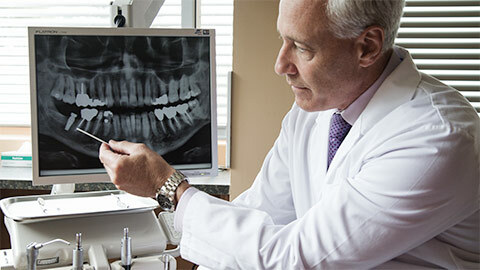 Implants consist of attaching a titanium screw into the bone of your jaw to act as the “root” for a false tooth. The false tooth is then attached to the screw, giving the look and function of a completely natural tooth. You won't be able to tell the difference! 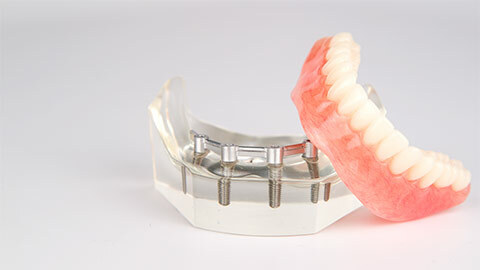 If you are missing a tooth, our dental implants could be the optimal solution.